Maritime Hydraulic and its sister company MHD Offshore provide highly specialized tensioners for TLPs, SPARS and SEMI SUBMERSIBLES oil rigs. Ram Style PRT System Loading/shipment of 1.6 million pound capacity ram style production Riser Tensioner System, destine for a ship yard in Louisiana. 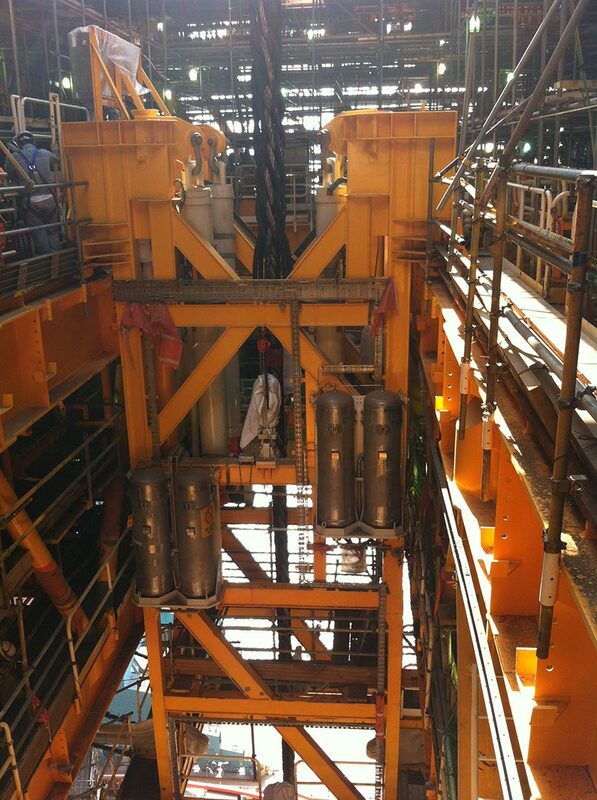 Ten-Dome Style Riser Tensioning designed and manufactured for the Shell Olympus platform. Full scale mock-up of the Shell Olympus well bay area. 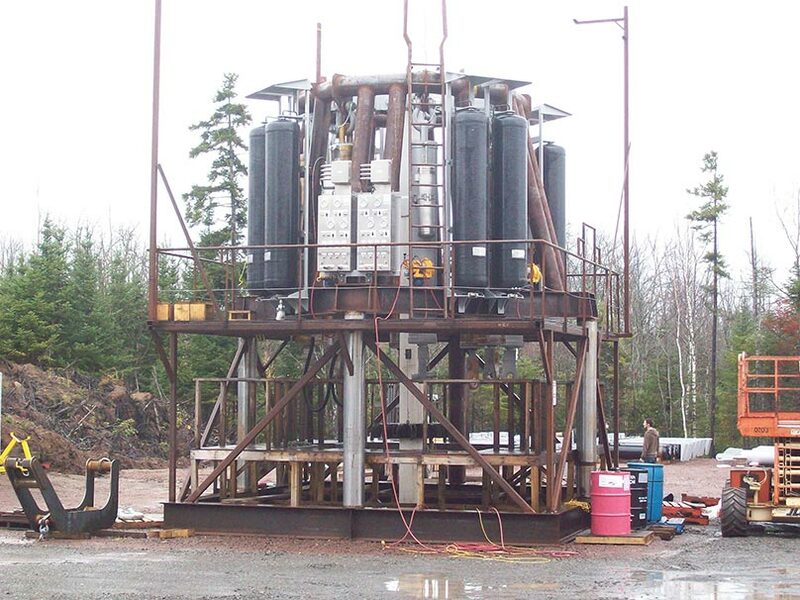 Recovery and Production of deep water oil fields are now pushing the industry to longer stroke, high capacity Production Tensioners. The various hull designs that can operate in deep water are requiring Production Riser Tensioners with stroke capacity longer that 25 feet. 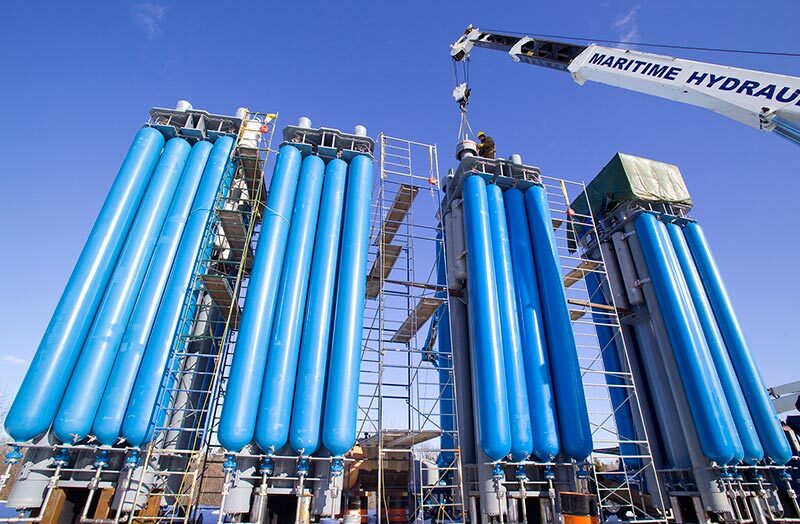 MHD have experience with 50 foot stroke direct acting inline tensioners. MHD Ram Style Riser Tensioner System (Patented) are one of the lightest weight and compact push up style system. MHD provides multi-cylinder pull type, identical, interchangeable, drilling and production riser tensioning systems, cassette style, well bay integrated or Ram Style, that are site specific. Each system is capable of operating with one or more cylinders out of service (system specific). Air Pressure Vessels (APV’s) provide a self-contained, compact, and easily serviceable package completely integrated with the cylinders. Each riser control system includes its’ own dedicated control panel. A charging cart and hose fill assembly is also supplied for system start-up and maintenance. In addition, a load ring is supplied to facilitate integration with the spool joint.